Roast your smaller dishes in restaurant-quality vessels designed for the task. These versatile cast iron pieces come in an array of sizes for all types of fare—from vegetables to fish—and nest neatly to save shelf space. 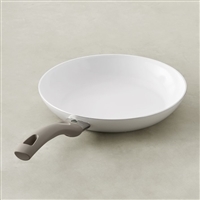 Ballarini Tropea Ceramic Nonstick Fry Pan, 11"
The marriage of Italian design and German engineering, this beautiful new model from Zwilling was designed by architect Matteo Thun. Its most unique feature is its beautiful arched bolster that allows for perfect thumb grip. Each knife is precision forged using Zwilling’s Sigmaforge process, for an exceptionally hard yet flexible blade. Gourmet servings. This set of 2 Soup Souffle Ramekins are perfect for entertaining. 4 1/2 x 2 1/2" 5-PLY Bonded Construction Stainless Steel. 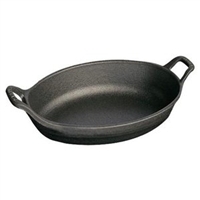 Lodge Deep Skillet, 5 Qt. 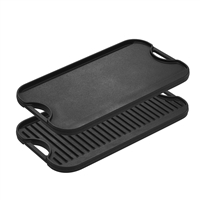 12"
The Lodge Reversible Pro Grid Iron Grill/Griddle provides excellent heat retention and distribution and fits over two stovetop burners. Two easy grip handles allow for easy lifting, flipping or hanging when not in use. You can use this grill to cook pancakes and eggs or grill chicken and steak. Some induction tops may not be compatible with double-burner griddles. Features grease trap on each side. For perfectly browned and evenly cooked chicken, pork chops or seafood, reach for this 8-inch 3-Ply Bonded Fry Pan from All-Clad. With its pure aluminum core, 18/10 stainless interior and magnetic stainless exterior, this long-lasting fry pan is built to conduct heat with superior efficiency on all types of cook tops and won’t react to the acid content in foods and liquids. 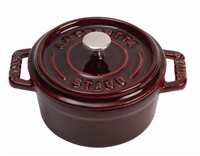 Ergonomically designed, long cast handle stays cool and comfortable in your hand and makes it easy to lift off the stove. 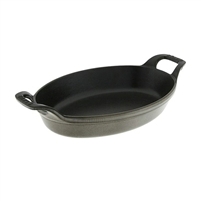 8" x 1 7/8" 3-PLY Bonded Construction Frying Pan. 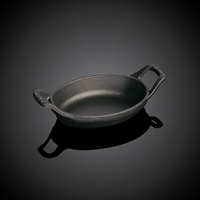 The cooking surface of All-Clad Nonstick is not merely a coating but a complete reinforced system to provide superior durability and release properties. All-Clad Nonstick makes it easier to prepare today's healthful light recipes with very little oil or fat. Effortless clean-up is assured.